This spring, Alphonsine Moyo Bakajika traveled 100 miles on foot through the West Kasai province of the Democratic Republic of Congo with her baby on her back. Why? IMA World Health was hosting a training for community volunteers like her on nutrition and home gardening, and she wanted to bring this knowledge back to her village to help reduce the high levels of malnutrition. IMA programs matter this much to those we serve, and your support makes our work possible. As the year draws to a close, we hope you’ll include IMA in your plans for charitable giving. Our goal is to raise $75,000 before the end of the year. To help us reach this goal, an anonymous donor has pledged to match all gifts dollar-for-dollar up to $75,000 until December 31st. Please help us make the most of our matching gift campaign by making an end-of-year donation to IMA World Health. 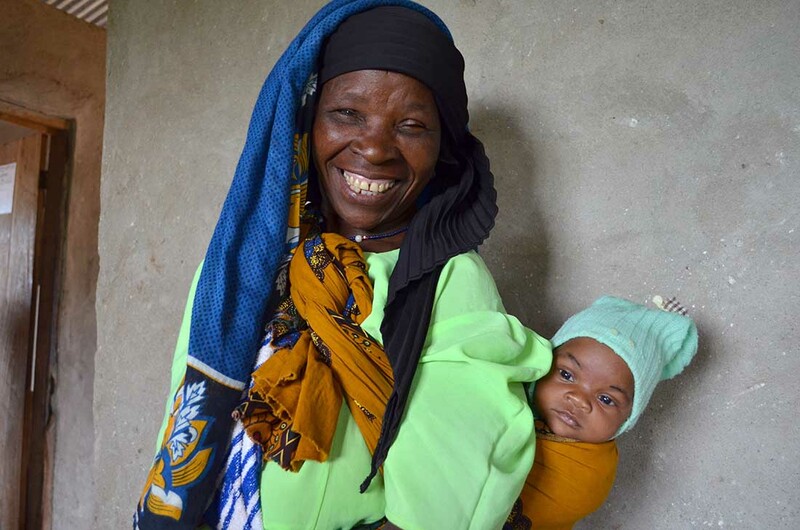 Your gift will save lives, restore health and hope in communities like Alphonsine’s and support our vision of health, healing and well-being for all. This holiday season, give the gift of greater health, healing and well-being for all. A watch costing $50 could provide training in Emergency Obstetric and Newborn Care for one nurse. A $100 bottle of perfume could provide one LifeStraw water filter to a family in the Democratic Republic of Congo. A $500 tool chest could provide 100 malaria nets to families in Tanzania. A $1,000 bracelet could provide 22 fetal dopplers allowing health care workers to deliver more prenatal care in South Sudan clinics. The special person you honor will receive a card or email letting them know of your amazing life-changing gift. It’s an instant gift that will forever change a life. Gifts made to IMA World Health support our entire mission of health, healing and well-being, and they will be directed to where they are most needed.